People lash out at things that they don't understand and at things that scare them. It's rather clear that liberals don't understand and therefore are scared of Sarah Palin. Since she came out of the proverbial woodwork of Alaska and onto the national scene of a Presidential campaign, the media has lashed out at her like hungry wolves waiting for any chance to pounce. Remember her wardrobe, for example? The media highlighted the Republican National Committee’s purchase of $150,000 in clothes for Palin, even though the dresses would be donated to charities. The story was page-one for The New York Times. Yet, Barack Obama’s trips to Hawaii on a chartered Boeing 757 cost $800,000 and received appreciative "nods" from the media. Then Presidential Candidate Obama used a Boeing 757 for two trips to Hawaii over the summer for a vacation and to visit his failing grandmother. Palin being a modest person without a wardrobe to withstand 24/7 campaigning had clothes given to her and that would later benefit charities after the campaign. While Obama burned campaign funds and fuel, Palin saved money for Alaskans by selling the state's jet and flying commercial. Simply more proof that the media was and is spooning Obama. One guaranteed way to draw attention from the media is to be yourself. Palin has always been a confident, secure, no nonsense personality. Her quirky sense of humor isn't unlike George W. Bush. Neither cared about being too polished in their speaking engagements. They just tried to be themselves. Normal folk. However, if one acts as themselves around the media, they're portrayed as ignorant, simple-minded and uneducated. Really? With Palin's resignation as Governor of Alaska, the feeding frenzy is on of news organizations clamoring to be the first to announce all the details. After all, if one quits their job they either couldn't handle the pressure or were up to no good, right? "I am now looking ahead and how we can advance this country together with our values of less government intervention, greater energy independence, stronger national security, and much-needed fiscal restraint," Palin said in a posting on her Facebook page. Palin's spokeswoman, Meghan Stapleton, confirmed Palin wrote the entry. Is it completely inconceivable that Sarah Palin realized that she could do more for her causes outside of the governor's office? Is it impossible that a politician actually thought of those she served and her office above herself? Is it possible that she preferred to relinquish her title instead of execute duties luke-warm and distracted? Ummmm, yes! "How sad that Washington and the media will never understand; it's about country," Palin said. "And though it's honorable for countless others to leave their positions for a higher calling and without finishing a term, of course we know by now, for some reason a different standard applies for the decisions I make." I applaud her attorney Thomas Van Flein warning legal action may be taken against bloggers and publications that reprint fraudulent claims. "To the extent several websites, most notably liberal Alaska blogger Shannyn Moore, are now claiming as 'fact' that Governor Palin resigned because she is 'under federal investigation' for embezzlement or other criminal wrongdoing, we will be exploring legal options this week to address such defamation," Van Flein said in a statement. "This is to provide notice to Ms. Moore, and those who re-publish the defamation, such as Huffington Post, MSNBC, the New York Times and The Washington Post, that the Palins will not allow them to propagate defamatory material without answering to this in a court of law." Paul Begala's demented Huffington Post offering Friday referred to Palin as "the bull goose loony of the GOP." MSNBC anchor David Shuster tweeted about the resignation: "By the way, just to clarify, I don't feel sorry for Palin. I was being facetious. @akgovsarahpalin for her lawyer's letter.7:27 PM Jul 5th from web." On the Saturday Early Show on the morning of July 4, anchor Priya David mocked Sarah Palin’s famous phrase, "You betcha," as she introduced a report by correspondent Nancy Cordes on the Alaska governor’s decision to resign from office. David: "Resign from office? You betcha." The FBI confirmed Saturday to the Los Angeles Times that they were not investigating Palin's activities as governor, a former mayor or in any other capacity. "There is absolutely no truth to those rumors that we're investigating her or getting ready to indict her," Special Agent Eric Gonzalez, the bureau's Alaska spokesman, said. So, there's still the question: why resign? Her lawyer told The Associated Press on Monday that she's simply tired of the hostile political climate, legal bills and other distractions. "She is leaving now because I think she believes that she has become the issue, rightly or wrongly, with all these ethics complaints and with the issues involving the Legislature, the combativeness they've been demonstrating toward her since she returned from the campaign," Thomas Van Flein said. If it was obvious that you couldn't perform your duties due to circumstances beyond your control, the responsible thing is empower and help someone else do it. "She's looking forward to serving the public outside the governor's chair," Palin's spokesman, David Murrow, said. If you could accomplish more of goals outside of a position, why not go for it? "Her vision is what's best for Alaska, which translates into what's best for America," said Meghan Stapleton, Palin's personal spokeswoman. And there's the kicker, for a politician to think of those they serve above themselves...well, that's a rarity. Speculations will continue on why she resigned and if she'll be a contender for 2012. The liberal media won't accept her answers because they want to remove any credibility or positivity of this woman. Many journalists have become what they claimed they'd never do. They've sold out and become lap dogs for agendas. Journalism is reporting unbiased facts so people can make up their own minds, not spoon feeding what is thought to be what they need. Stepping down from something is much harder than staying. Pride, selfishness, and ambition can keep us stapled to something when it's time to move on. Respect her decision and respect her for not only having the courage to move on but also for just being herself. Having a warm cup of reality and be glad she's not another empty suit from Washington. Oh, Rick, your earnest 4th grade level term paper post was the funniest thing I've read all day. You think we don't understand Ms. Palin, while believing she's putting those she serves above herself. Honey, do you really think she's putting anyone besides herself first? Really? I think it's time to get back to your "prayers for Jon & Kate." Their marriage is as solid as Palin's presidential aspirations. You're delusional, but as far as I'm concerned it's good for us that you idiots stay that way. Scared of Palin? Please explain that one. What's to be scared of? Her inability to keep her cool under pressure? Her willingness to pimp her kids at every opportunity? How about her pathetic inability to articulate? The problem with you people is you develop these opinions of pure fantasy, with no factual backup, and take them as gospel. It's a desperate thing to do, but desperate people are not known to be rational or realistic. We're SCARED of this idiot. Yeah. Just keep telling yourself that and everthing will be okay. Erine, thanks for stopping by and sharing your thoughts. What's the first sign of a liberal mentality? Name-calling. I'm pleased my "4th grade level post" (another liberal indicator since you perceive me as ignorant) gave you a chuckle. Regardless of her intentions and whether she runs for President or not, this woman has more class and honesty than anyone in Washington. Verbal, thanks for sharing your thoughts. To me, it's quite plain there's fear. Even if it's fear that someone "like her" could actually win. Liberals fear a return to the days of George W. Bush and see Sarah Palin as someone as bad if not worse than him. So you are saying that Sarah Palin was terrified of Barack Obama? And Bill O'Reilly is terrified of a young woman who works for Think Progress, Keith Olbermann, and an abortion doctor? And Peter King is afraid of Michael Jackson? Senator Inhofe is afraid of global warming? Sen. Pete Sessions does not understand Sonya Sotomyer? I love how conservatives always resort to the very lame canard that liberals who dislike Sarah Palin are afraid of her. Hint: I'm not afraid of her (except the fact that she's a product of the public educational system). I really just don't like her. It is actually possible to dislike people without feeling afraid of them. What's wrong? Your post did not receive enough attention over at your blog so you felt the need to link to it repeatedly over at Daily Kos? Of course, you screen your comments (unlike Kos), so I'm sure this one will never see the light of day. Anonymous, thanks for sharing your thoughts. It's clear you've missed my point. Why would one woman generate such unbelievable amount of buzz in the blogosphere if she wasn't a threat? I'm sure your response will be that it's not fear but her absurdity that generates content. Your entitled to your opinion as I am mine. I love everything you have to say. You are so right with this one. I love your point of view and it gives me a hope for the future of our country. Patty, thanks for sharing your comment here and thanks for the support! You also apparently edit the comments you get without acknowledging doing so, because the one credited to me does not accurately reflect what I wrote. Anonymous, no editing here. Your comment is precisely what you submitted. Consider me Anonymous 2, I suppose. There are serious issues between conservatives and liberals. Here's the thing: both put out very well-reasoned arguments for the issue and both can be right. But, one disagrees. Thus inevitably both sides resort to name-calling or the sort because, simply, logic is logic, and both sides have it. you get stuck in a bubble on one side. Blogs, your friends, and the like agree with you, confirm your beleifs, and you don't escape. Basically, both sides can be right and both sides can be flawed, perfect, and downright crazy. Both sides can be biased. Both sides are crazy at time. Both sides have their extremes. And all the while the individual has their own separate opinions. It's a mess. What I'm trying to say is this: I have liberal sensibilities and disagree with some of what you say, but I perfectly understand your reasoning. The problem is that both sides reason and think fine: we are humans, after all, and only trying to do what we think is best. Politics is crazy because we are all trying to be good and yet think the other guy isn't. This comment seems to have gone somewhere else entirely, but I fell the need to say this. Another thing to point out: since the two sides seems to inevitably not get along, everything becomes a big deal because the two sides feed off each other. If only conservatives cared, this story'd have died down earlier. Same for liberals. But you both care and want to do what is best. So, one side says something, the other says something, and both react and react to the story, the reactions, the reactions to the reactions, etc. And to point out one last thing in this terribly rambling post. the individual varies a lot. Plenty of liberals are ignorant, plenty are smart. Likewise for conservatives. Typecasting one side does nothing good. Pardon the long post. But another thing to say: looking at liberal blogs, you'd think all conservatives are crooks. Looking as conservative blogs, you'd think all liberals are thieves. You're clearly a smart man, I'll say, despite my disagreeing with some of your post. I'm honestly tempted to start attacking your post, but that will do nothing. It won't change your opinion. You won't change mine. Your belief is from your ethics and moral ideas, which stems from your environment, and it's hard to change that. And these beliefs only strengthen from your environment now, not in the past, and mold to what you agree with. We will inevitably disagree. Bias is everywhere. Politics is your beliefs. Any talk of that will be biased to some extent. Wow, a long comment here. It's like a rambling essay. But hopefully you picked up my intent from this word-mess. Well, if you did read this, thanks. Do reply. Anonymous #2, wow, thanks so much for the feedback here. Seriously. You've got a lot of great things. Overall, thanks for recognizing that both mindsets have "well-reasoned arguments." Ultimately, no one likes to be stereotyped or always have their ideas considered insignificant. Not all conservatives are Christian or Republican and not all Democrats are atheist or Democrat. Stereotypes do often fit but few enjoy being reminded of them. Just the same as conservatives often feeling made ignorant, stupid, or named-called for their thoughts, I'm sure liberal mindsets don't wish to be always seem the arrogant bad guy. Indeed, both sides are biased which is why what's always more productive is something in the middle...something bipartisan. It's likely both schools of thoughts clamor for the "loudest sounds of reasons" so their idea will be accepted. Thank you for understanding my reasoning even if you disagree with mine. Agreeing to disagree is a wonderful place to be sometimes because too often people allow emotions to get in the way. I certainly expected some lashing and praising from my post and do often try to avoid extreme reactions in my writings. In this case, my hope is that with the lashing could come some understanding. Sometimes, a punch has to be thrown before someone can cool off and talk. "Politics is crazy." You are absolutely correct. One thing is absolutely certain for me. No matter who is in a political office, whether I voted for them or not, whether they are Republican or not, the Bible commands me to respect and honor them (1 Peter 2:13-17; Romans 13:1-7). I must be praying for those placed in authority over me (Colossians 4:2; 1 Thessalonians 5:17). I do not have to agree with them, or even like them, but I do have to honor and respect them. The key for Christians is to be in the world and not of the world (1 John 2:15) and that's often easier said than done. Praying for leaders or others isn't something always remembered or practice...but it must. It's easy to get caught up in all the mess but politics shouldn't be obsessed over, something I often have to remind myself, since things of faith are far more valuable. Thanks, again, for your insight comments! The Right loves Sarah, The Left hates her. The right cannot understand the vicious attacks on her children. The Left , shamelessly, applauds whatever works in destroying the obvious threat that Sarah represents. She is coming to the lower 48 to campaign for principled, American Values candidates. Numbers, in the end, are all that matter. Either there are enough of us to stem the destruction of our free market economy and the values of individual freedom, or we don't. The two sides, I believe, are irreconcilable. I stand with Sarahs principles. usabruce, thanks for sharing your thoughts here. What I pull from your comment that is exceptionally true: that we should not remain silent on our views. The end result may be disagreeing to agree or a compromise, however, if we remain silent and allow the media or any one group of people to speak for everyone, we have little reason to complain. 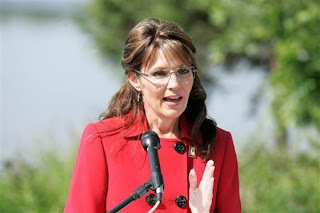 Roger Simon nails it in his article, The Sins of Sarah Palin at politico.com. I do not find your post intellectual in the least, and I think it is filled with inaccuracies. You applaud Sarah Palin's attorney for threatening to file lawsuits against people for exercising the right to free speech? The attorney was erroneous in claiming these things were presented as fact. Furthermore, he is an idiot, because in laying out his rationale for why he should prosecute them and media outlets who had not even said anything about the FBI rumors, he provided the media with ample cover for talking about the rumors. The decision to donate the $150,000 worth of clothes only came about after the public found out about them; many were not donated to charity. Nobody needs $150k worth of clothing for a 6-month campaign. Michelle Obama is the first lady of the United States and she wears J Crew. Apparently that was not good enough for Sarah Palin and her family. They even dragged Levi down from Alaska, to his apparent reluctance, and outfitted him in designer duds for the photo ops. Obama's trip to Hawaii to see his dying grandmother did not cost $800k. One can appreciate, however, the decision to visit the relative who raised you as they are dying. You criticize this yet call yourself a Christian? The negativity has been as much from the right as from the left. Sarah Palin's decision is ridiculous. Notice how every time she talks about her term as governor she tries to make it seem longer than it is? She has said, on various occasions, "In my first term as governor.." (she did not serve a term or "In 3 years" or "In 4 years.." (neither of which she served). You may like Sarah Palin's conservative values but she does not have the intellectual chops to be the leader of our country. If you had the intellectual chops, you would readily see that, as do many Republicans who oppose the idea of Sarah Palin as president. Further, she is extremely selfish and corrupt. She appoints unqualified cronies to government positions uses her status to hire/fire people for personal reasons, and tries to milk as much money as possible out of her position by doing things like claiming per diems for working from home (charging Alaskans for cooking a meal in her own kitchen!) and taking her children on trips that serve no official purpose. The other thing you fail to understand is that most people do not want "ordinary folk" to be the president; we want EXTRAORDINARY folk. I want people who are well-educated (including self-educated, which Palin is not), well-informed, and keenly interested in the world at large to lead my country and state. It is a complex position; Palin is not up to the task, which is why she quit, just like she has quit every other public service position she has held before completing her term. The woman cannot even string words together to form a coherent sentence. She regularly says the most absurd, inane things, and her reasons for quitting truly are laughable--which is why everyone is laughing at her. Except, apparently, people who like to quote the Bible in their blog. Anonymous, thanks for sharing your link. Indeed, it does speak volumes to the situation. I applaud Sarah Palin's attorney for threatening to file lawsuits against individuals or entities propagating falsehoods. The right to free speech doesn't include spreading lies. With regards to the clothes, do you have some time-line resource that indicates when clothes were first mentioned to the public? Do you have proof of which were donated and not? I did not say that Obama's single trip to Hawaii to see his grandmother cost $800,000. Both his family vacation and the grandmother trip together cost $800,000. I'm not criticizing the visit. My point was that $800k of campaign funds were spent on two personal trips with little press, yet $150k of campaign/party funds are spent on clothes for a candidate and it creates a brouhaha. As for mincing words, this IS her "first term" and short of her saying "during" or "in" or "whilst serving" what difference does it make? Now we're back to intelligence. I would assume you didn't feel President George W. Bush had the intellectual chops to be President regardless that he was in the office for 8 years. I've often found that intelligence is meaningless if one doesn't have common sense. Intelligence may get one revered by others but common sense can help guide one through all of life's circumstances. As for how she runs her office, I'd prefer documents to back up those claims before commenting. Someone you view as extraordinary could come across to me as fake, polished, shallow, and naive. Extraordinary to me is real, personable, honest, and sincere. You missed the intent of this post. While I'm not opposed to the idea of her in 2012, my focus was upon how this woman has been continually hen-pecked since the campaigns and even more since she chose to resign. So, no, I don't find her laughable. I find it comical how ever effort seems to be taken to discredit her. If you were actually a well-informed person you would either know all the things I mentioned or you would know how to find them out. The fact that you do not only solidifies my earlier impression; you are one of those who knows only as much as you need to know to support your preconceived notions. You do not bother to read everything or find out the full extent of the facts. None of these are secret, and many have been covered in Alaska's own news publications. You can try to spin the semantics of how she is positioning things, but she is clearly trying to give the false impression that she served an entire term or more than the approximately 2-1/2 years she did serve. As for her attorney, he is still an idiot. He is not threatening to sue people for lies. He is threatening to sue them for talking aobut the existence of rumors that truly do exist and have for some time. Do you know why Sarah Palin will not sue, any more than she sued the National Enquirer about the alleged affair she had with Todd's business partner? Because she does not want to risk being deposed, which is the easiest way to be caught for wrongdoing. Nobody needs to take efforts to discredit Palin. She discredits herself every time she opens her mouth. So, you would like a president with "common sense" regardless of how stupid he or she may be? Scary. Something tells me we have a significantly different idea of what constitutes common sense. To me, common sense says you do not try to circumvent laws requiring official e-mail to be archivable by using private e-mail accounts to conduct official business. That is called "deceitful sense." Sarah Palin is so lacking in common sense that she could not even pick a non-guessable password for her account. She is so lacking in common sense that she thought it was logical to say she had foreign policy experience because Russia can be seen from a small virtually uninhabited island in Alaska. That is not a common sense position, no matter how you try to spin it. Common sense also suggests you do not pull your children out of school and drag them around the country on a national campaign. Common sense says you do not fly from Texas to Alaska with amniotic fluid leaking while pregnant with a special needs child and then drive from Anchorage to a podunk hospital in Wasilla. Would you like more examples of this woman's ghastly lack of common sense in every day life (let alone government)? If Sarah Palin has been "henpecked" it is because she is an incredibly nasty, spiteful, egotistical, unethical person. I would not want her for a friend or even a next door neighbor, let alone an elected official. She clearly has you fooled, however. Maybe you should read more (unlike Sarah Palin, who apparently reads nothing at all). Thanks for the response Rick. I have to say something again! Look, I don't support Palin in the least, or particularly have much positive to say about her. But it's a bit ridiculous to deride her as any list of derogatory words. These kind of lists are always exaggerated. It's very easy to get caught up in the current fervor and lambast someone. But to criticize them truly proof is needed. This doesn't mean I support her. But, take what I just said and apply it to any other important political figure really. Obama, for example, had also had his share of unfair or rather unfounded criticisms from the right. Both sides can be really vicious and attack the other side's well-known, but not wholly representative of the entire party, figure and with spiteful, rather meaningless rhetoric. As for any comments on being an idiot: that's subjective, by it's very nature, and it depends on what an individual expects out of a person; and there's a lot of room to vary. My point, in my word-mess again, is that it's very easy to be bitter, acrimonious, and derisive of the other party's main person. And, inevitably, it gets distorted and misleading or downright false. For anyone, really. I'll be honest: I think Palin knows nothing. That I won't deny. But, nevertheless, I must begrudgingly accept your opinion. And there's no point in me proceeding to attack her. You know my view. I know yours. Some conservatives think Obama knows nothing. Some liberals think Palin knows nothing. It's partisanship for you. Distorting your view or the other guy's since God knows when. Though, I must also point out there are genuinely stupid people on both sides of the fence. But, when anyone can use a computer, they have somewhere to speak. So, sometimes it's true, the other guy's stupid. But he could be a lefty or righty. And what's funny about this? We're both smart enough, but disagree. Oh, politics.